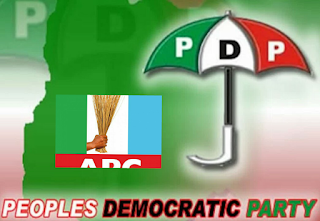 More than 20,000 members of the All Progressives Congress (APC) in Akwa Ibom State at the weekend defected to the Peoples Democratic Party (PDP). Led by the Director General of the APC State Campaign Organization in 2015, Chief Sunny Udom, the defectors lamented the state of the country and vowed to return PDP to power in 2019. At a reception in honour of Governor Udom Emmanuel, and wife Martha, organised by youths of the old Abak division comprising five local government areas, Chief Udom said that APC stood no chance in the next elections in the state. “I brought these people, I came from APC; APC does not have a candidate. “I was the Director General of their Campaigns and I know that their house is not in order. “We heard about change but the change turned out to be from frying pan to fire. “At least let us come back to the frying pan, the umbrella is a very good symbol,” he said. He said that he and his people were under obligation to support the governor who is married to a daughter of the Old Abak division, maintaining that the Governor has served the state well. Among those who defected were former chairman of Abak local government area, Arc. Okon Obot, former House of Representatives member, Chief Nkereuwem Dan; ex local government chairmen and some ward coordinators of APC. Speaking, Governor Emmanuel appreciated the people of Old Abak Division for the honour. He promised to continue his industrial drive in the state, through the provision of critical infrastructure to in the state. Chairman on the occasion and National Legal Adviser of PDP, Barr. Emmanuel Enoidem, said that his people in Abak, Etim Ekpo, Ika, Oruk Anam and Ukanafun have agreed that the Governor should continue in office.